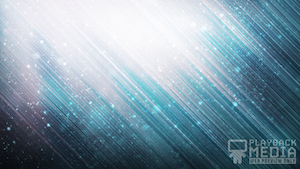 This motion features bright blue straight brush strokes randomly spread across a grey background. Subtle grey brush strokes slowly move across the background. In the middle in a script font are the words “Bienvenidos Estamos contentos que estén aquí”. This is a fun and colorful background that can set a playful or edgy feeling for any setting. This is a great background for starting any service! The Good Vibes Welcome Motion – Spanish Background is part of the Good Vibes Collection.